While the visually impaired may look towards glasses, contact lenses and in extreme cases even transplants, blindness, cataracts or any of the other degenerative diseases of the eye have never been fully cured, science and medicine so far generating corrective if not preventive measures. The latest advances in medical sciences has seen the increasing use of using less static technologies like corrective lenses and upgrading them to combine them with electrical circuits, creating, in its best description, a bionic eye. 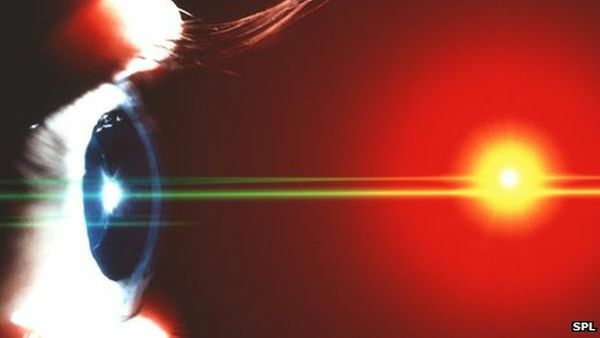 And researchers at Stanford University in California have created just that, a bionic eye which not only helps the visually impaired to see but is also powered by light. Researchers at Stanford university have created a retinal implant that unlike existing implants, needs not to be hooked up to battery for power but instead draws upon light to be charged. Retinal implants work by aiding the eye in completing its functions that is letting light enter the eye and hit the cells at the back of the eye which detect light. Degenerative diseases of the eye mostly impair this function, allowing lesser light to enter the eye, eventually causing blindness. But retinal implants stimulate the cells (rods and cones to be specific) in the eye to pick up light and most often allow sufferers to see. The implants themselves are usually fitted behind the retina and testing has shown that blindness can be offset with patients with the implants being able to perceive light and shapes. But the new implant betters its predecessor by eliminating the need for a battery or “the need for complex electronics and wiring,” instead being charged by light. Detailing their work in the journal, Nature Photonics, the Stanford University researchers described this new bionic eye. A retinal implant is placed similarly behind the eye while the patient wears glasses that are fitted with video cameras that record everything in the patient’s field of vision. The glasses in turn shoot beams of infrared light directly onto the retinal implant chip, which creates an electrical signal that is passed onto the optical nerve. While the light-powered implants have not been as yet tested in humans, tests in rats have been successful.